The group of Petrology and Geochemistry of the Physics and Earth Sciences Department carries out activities in the following fields: water and soil geochemistry, microclimatic analysis, inorganic components analysis of the sewage sludge, identification of the elementary and isotopic marker of the natural matrixes (soil, rocks, surface water and groundwater, snow and rain) for the traceability, characterization of the sites polluted by heavy metals and mineral prospection. In the last years the group has extended the use of the traceability methods in the soil-plant system for the territoriality and traceability food. Detailed information on staff and Professors of the Physics and Earth Sciences Department involved and uninvolved in the GEP Project, the analytical facilities and scientific production are consulted on the Department web site. 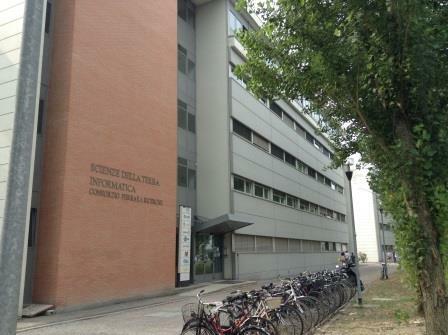 Il gruppo fa parte del Tecnopolo Rete Alta Tecnologia Emilia-Romagna – TekneHub dell’Università di Ferrara che dispone di ulteriori competenze di laboratori e facilitazioni analitiche.